There is little doubt that the European Union suffers from a democratic deficit that affects its legitimacy and acceptance with EU citizens. But what is the source of this deficit? 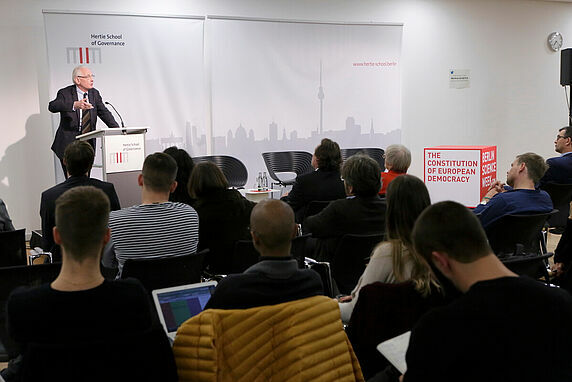 In his 2016 book, "The Constitution of European Democracy", Dieter Grimm asserts that the over-constitutionalisation of the EU has shifted power from democratically legitimised and accountable institutions to the EU’s executive and judicial bodies. 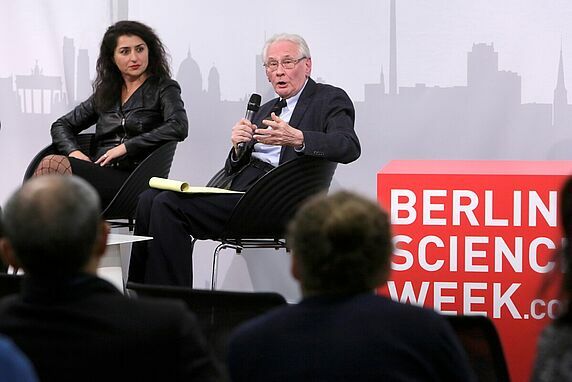 At the Hertie School, Dieter Grimm commented on his book and discussed it with Hertie School's Mark Dawson and Dilek Kurban. He also fielded questions from the audience and developed proposals for reforming the institutional structure and decision making process within the EU. In 2016, Dieter Grimm's book "Europa ja – aber welches?” was published by Verlag C.H. Beck. It is now available in English from Oxford University Press under the title "The Constitution of European Democracy". 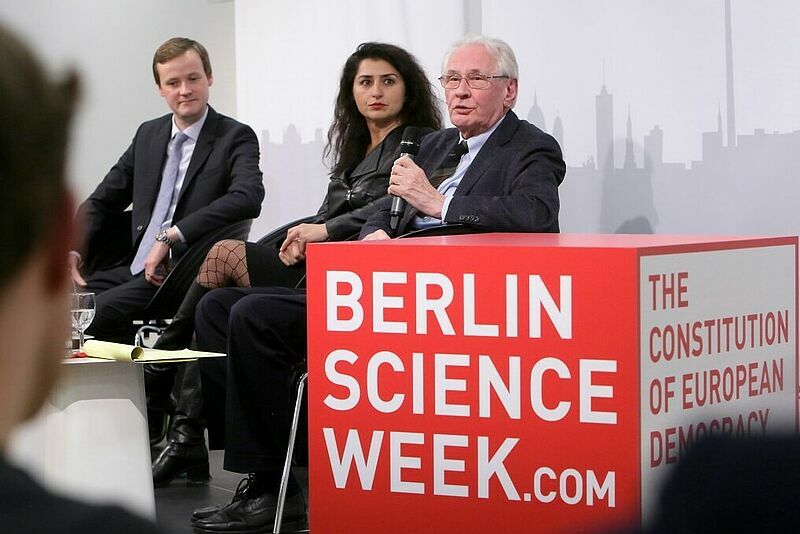 The event was part of the Berlin Science Week (1-10 November 2017). 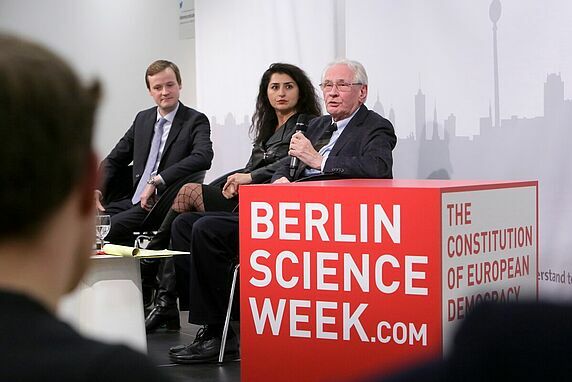 Dieter Grimm teaches constitutional law at Humboldt University Berlin and at the Yale Law School. From 1987 to 1999 he served as Justice of the Federal Constitutional Court of Germany. 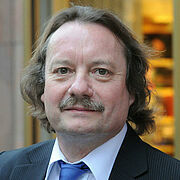 He holds a law degree and a doctoral from the University of Frankfurt and an LL.M. degree from Harvard Law School. He has been a visiting professor in many universities such as Harvard, New York University, the University of Toronto, the University La Sapienza in Rome, the Indian National Law School in Kolkatta, Seoul National University, Beijing University, Renmin University Beijing etc. Dieter Grimm holds honorary doctoral degrees from the universities of Toronto, Göttingen, Porto Alegre and Bucharest. 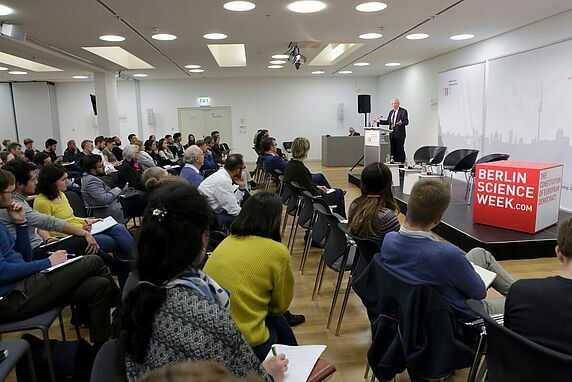 He is a member of the Berlin-Brandenburgische Akademie der Wissenschaften, the Academia Europaea and the American Academy of Arts and Sciences. 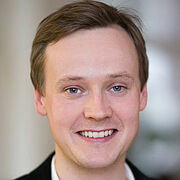 Mark Dawson is Professor of European Law and Governance at the Hertie School of Governance. His research focuses on the relationship between law and policymaking in the EU, particularly economic governance and human rights protection. He is the Principle Investigator of LEVIATHAN, a research project exploring the legal and political accountability structure of EU economic governance. 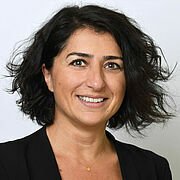 Dilek Kurban is a Fellow at the Hertie School of Governance. She is a legal scholar with research interests in the European Court of Human Rights, legal mobilisation, forced displacement, minority rights and human rights abuses during ethnic conflicts. She is specialised on Turkey. She is a member of the European Commission’s Network of Independent Experts in the Non-Discrimination Field.